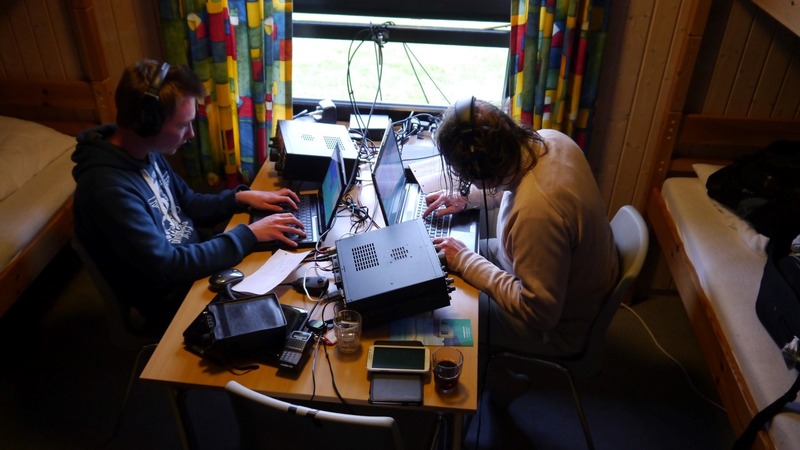 As bunch of us from the CUWS (Cambridge University Wireless Society) headed to the Faroe Islands for a weeks DX’Peditioning between Monday 17th June 2013 and Monday 24th June 2013. We are currently staying in a hostel in Torshaven. 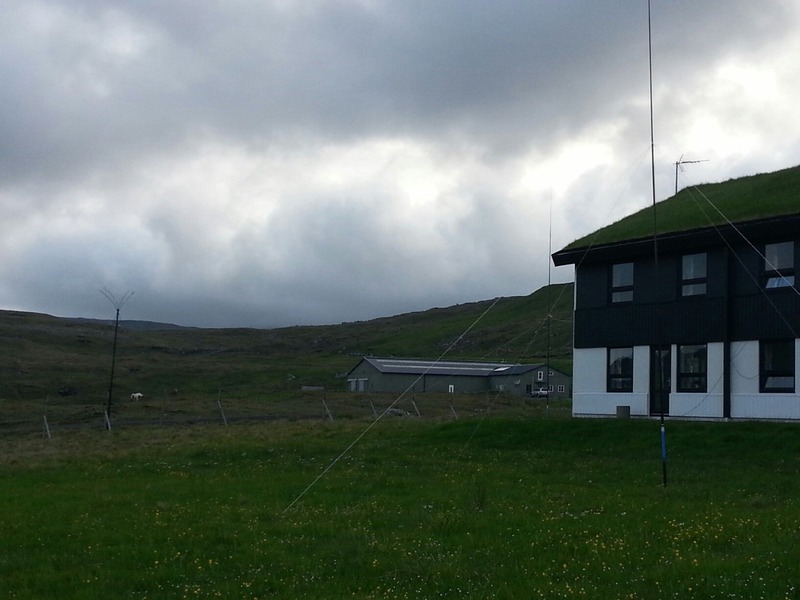 I’ll be operating as my home call in Faroe’s so that is OY/M1BXF; QSO and QSL details are on my QRZ.com page. The antennas are a 2 element 6m beam (far left), 20m vertical dipole at the back, just to the left of the building, and a 40m vertical up front (which also works on 15m). Radio wise we have 2x Elecraft K3’s and an FT-817 for driving the 4m transverter. We also have an FT-100 as a spare radio.